Here they are on their Christmas party. 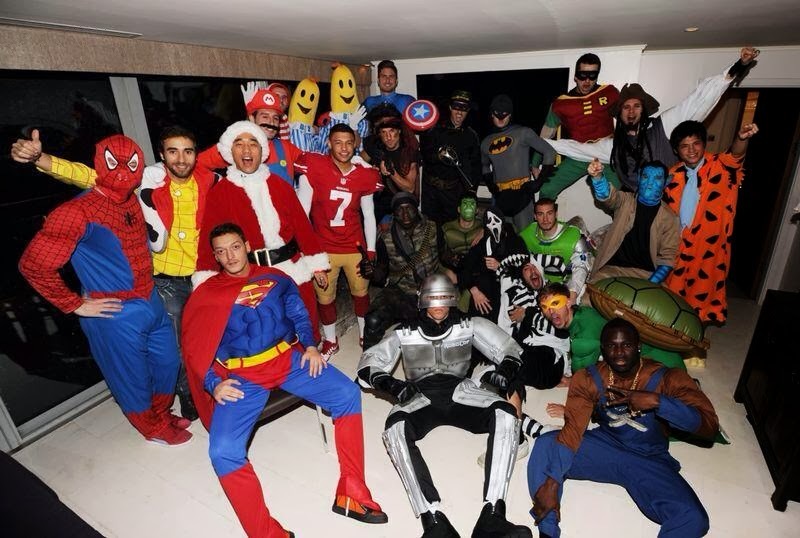 Arsenal players dressed up in fancy dress. How fantastic do they look. The players Christmas party took place at the Mayfair Hotel where the group had dinner together and they then moved on to the penthouse suite which they had hired for the remainder of the evening. Here is who I've identified so far. If you can add a name to a character, please leave a comment below.